I'm just so excited!!! 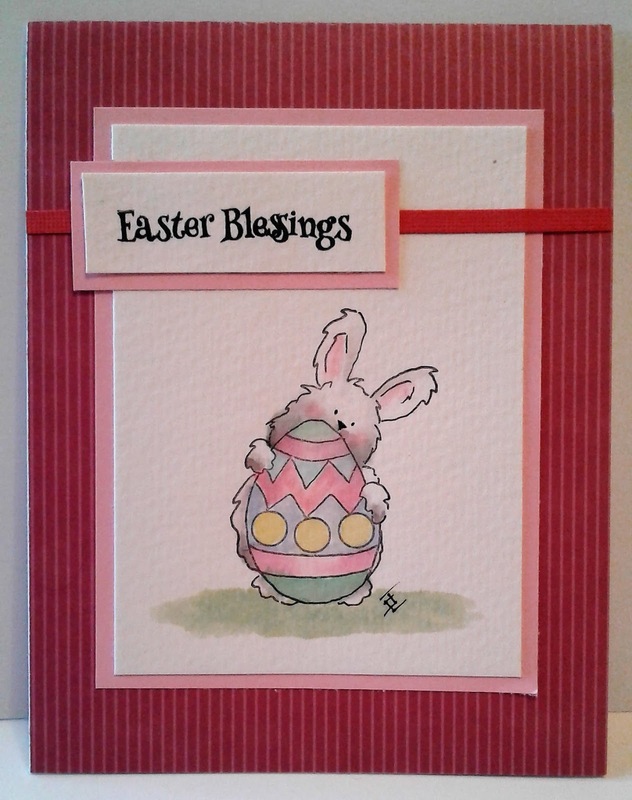 I just received my Easter Blessings stamp set from Art Impressions. And I LOVE IT!!!!! This set was designed by Kendra Krebs, the daughter of the owner and founder of Art Impressions, Bonnie Krebs. This is one talented family! 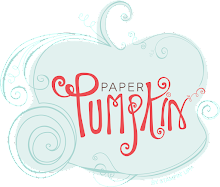 This stamp set is just too cute, you'll have to try it out. 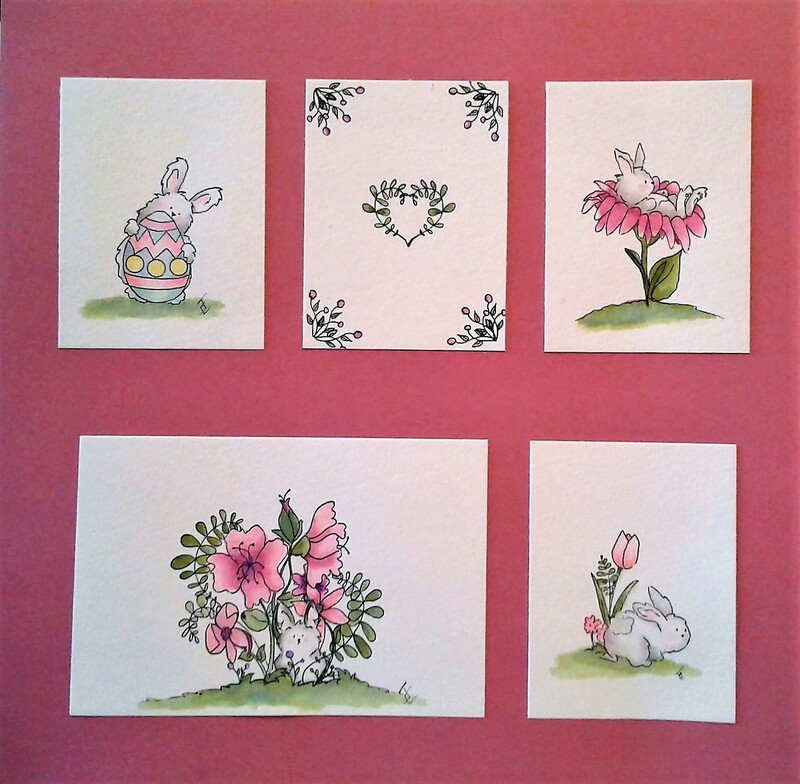 Here is a framed grouping of pictures I water colored with this set. Also below it are two cards I also did with the set. 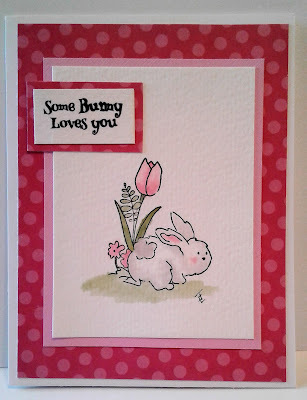 In addition to Easter it could also be used for Valentine's Day and Spring cards as well. Wow I love all your water coloured images! I can't pick a favourite.... I love them all! 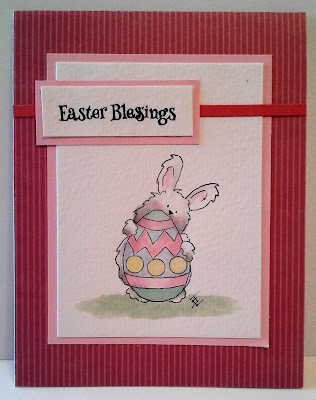 Thanks for playing along with us over at Art Impressions in our Spring Fling Challenge! I really love those images and can't wait to color them. Love the easter egg and bunny!